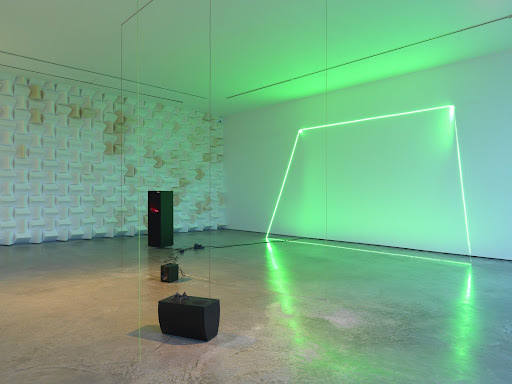 Haroon Mirza's first show as Lisson gallery, comprised of a series of sculptural installations, functioned as a musical composition spread across the gallery's three exhibition spaces. 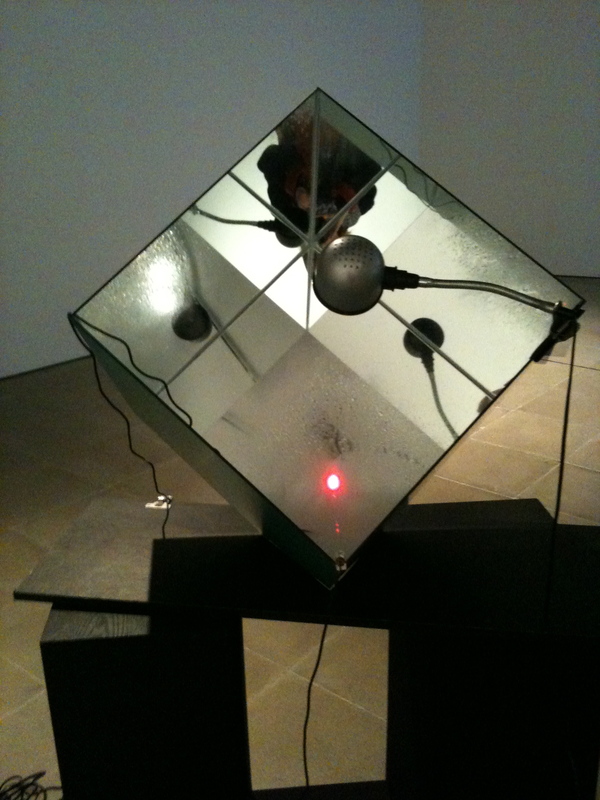 Works functioned as autonomous single sculptures while also - due to be programmed in the same tempo and key - creating aural links between the space. While researching the show Mirza took an interest in the Lisson gallery's archive and happened upon a set of correspondence detailing and diagramming instructions for installing a show by minimalist sculptor Fred Sandback. 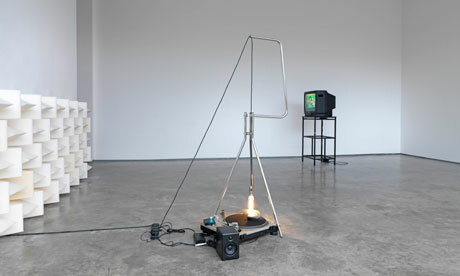 Mirza was inspired to strip back his show to a much more minimal approach, as well as to present his work alongside a remade version of the past show. Recreating Sandback's string constructions in LED strips and speaker cables, Mirza built the artists work into his own, embedding it into the space as both a feature and as part of his show's support.